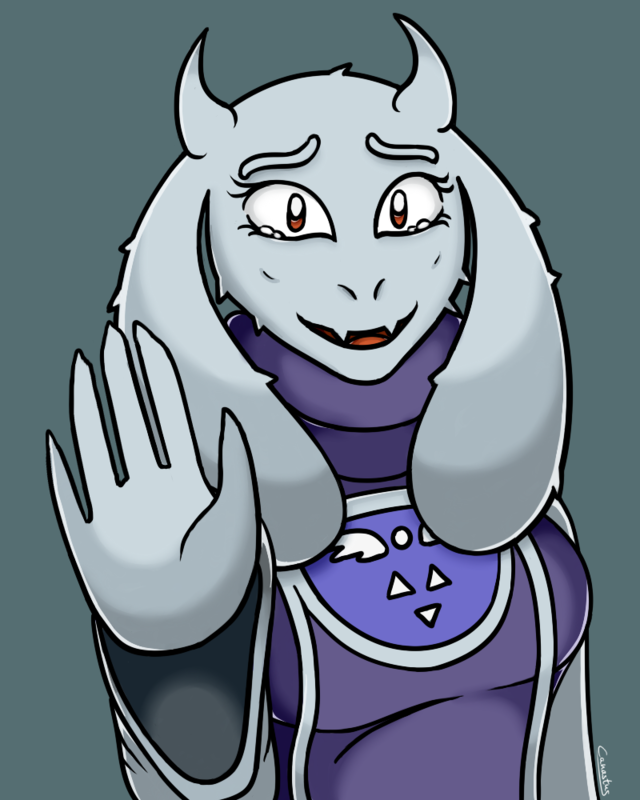 Toriel saying farewell as you leave the ruins. You’ll make her proud, right? Toriel is the motherly monster that takes care of you at the beginning of "Undertale". If you haven't heard of the game yet, I can only recommend it. It's one of the most heartfelt titles in existence. She is so sad. I do not have the heart to leave. That's probably what the majority of players were thinking at that point in the game. She's such a lovely character.